Supplementary foodstuff for stressful situations. 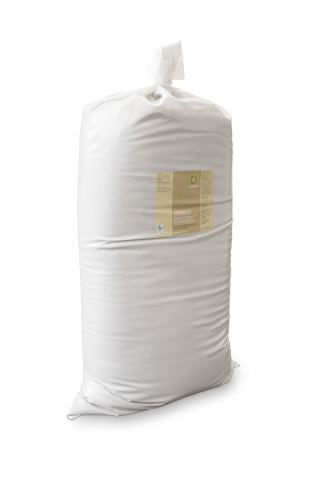 Topdress is a very valuable supplementary foodstuff that is primarily made up of organic wheat bran and organic spelt husks and is fermented with FHE (Fermented Herbs Extract) and sugar cane molasses. During fermentation, the microorganisms produce lots of metabolites that have a high nutritional value. It is an ideal feed additive, which can be added to the daily feed ration or used as additional feed before and during stressful situations. Wheat bran*, spelt husks*, sugar cane molasses, coral calcitic lime, sunflower seed oil*, lactose powder*. *From organic farming. More detailed information concerning the composition is available here: +43 7247 50 250-123 Basic feed products from organic farming: 95,2 % of total input. Basic feed products from organic sources: 0 % of total input. Other basic feed products: 4,0 % of total input. Volume of feed of agricultural origin: 99.2 % of total input. Keep in a cool, dark place. After opening, use Topdress quickly. The producer and seller are not liable for the individual use of Topdress. The producer guarantees the uniform quality of the product. As soon as the smell of Topdress becomes unpleasant, it should no longer be used. Listed in the resource catalogue for organic farming by InfoXgen. Can be employed in ecological/organic production in line with the (EC) No. 834/2007 and (EC) No. 889/2008 directives.